Climate is the statistics of weather, usually over a 30-year interval. It is measured by assessing the patterns of variation in temperature, humidity, atmospheric pressure, wind, precipitation, atmospheric particle count and other meteorological variables in a given region over long periods of time. Climate differs from weather, in that weather only describes the short-term conditions of these variables in a given region. The World Meteorological Organization (WMO) describes climate "normals" as "reference points used by climatologists to compare current climatological trends to that of the past or what is considered 'normal'. 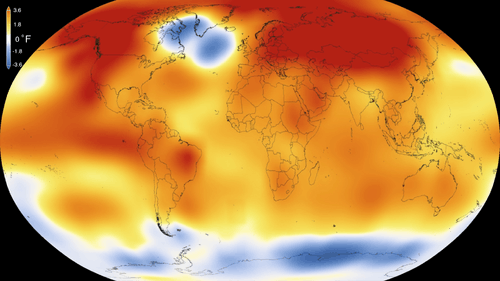 A Normal is defined as the arithmetic average of a climate element (e.g. 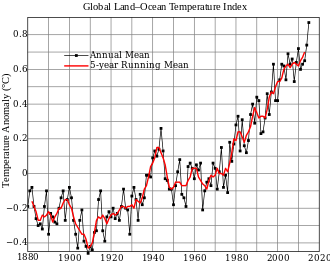 temperature) over a 30-year period. A 30 year period is used, as it is long enough to filter out any interannual variation or anomalies, but also short enough to be able to show longer climatic trends." 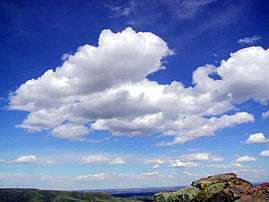 The WMO originated from the International Meteorological Organization which set up a technical commission for climatology in 1929. At its 1934 Wiesbaden meeting the technical commission designated the thirty-year period from 1901 to 1930 as the reference time frame for climatological standard normals. 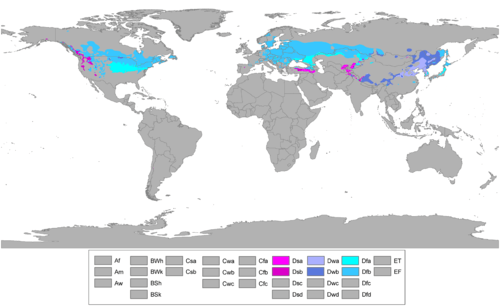 In 1982 the WMO agreed to update climate normals, and in these were subsequently completed on the basis of climate data from 1 January 1961 to 31 December 1990. Rain forests are characterized by high rainfall, with definitions setting minimum normal annual rainfall between 1,750 millimetres (69 in) and 2,000 millimetres (79 in). Mean monthly temperatures exceed 18 °C (64 °F) during all months of the year. ↑ Planton, Serge (France; editor) (2013). "Annex III. Glossary: IPCC - Intergovernmental Panel on Climate Change" (PDF). IPCC Fifth Assessment Report. p. 1450. Retrieved 25 July 2016. ↑ "Climate averages". Met Office. Retrieved 2008-05-17. ↑ "Climate Data and Data Related Products". World Meteorological Organization. Retrieved 1 September 2015. 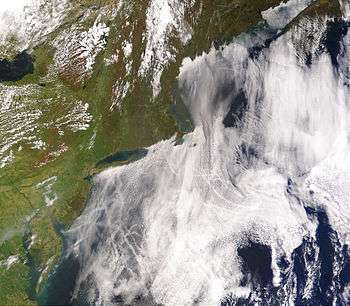 ↑ "Cloud Fraction (1 month - Terra/MODIS) - NASA". Cloud Fraction (1 month - Terra/MODIS) - NASA. Retrieved 2015-05-18. ↑ Hawkins, B.A. ; Pausas, Juli G. (2004). "Does plant richness influence animal richness? : the mammals of Catalonia (NE Spain)". Diversity & Distributions. 10 (4): 247–252. doi:10.1111/j.1366-9516.2004.00085.x. Retrieved 2008-05-21. Wikivoyage has a travel guide for Climate. ClimateCharts - Webapplication to generate climate charts for recent and historical data.